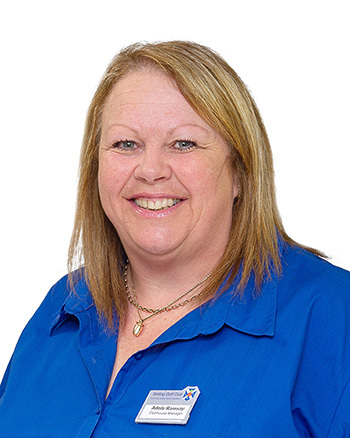 Adele Ramsay has been with the club for over 10 years and as Clubhouse Manager now leads a staff team of clubhouse staff to provide an excellent bar and restaurant service to our club members and visitors. She co-ordinates all hospitality for visiting parties, open competitions and golf societies as well as member events and functions throughout the year. Always innovating and interested in developing the Clubhouse to full capacity in the lead up to our 150th anniversary in 2019, Adele is available to discuss catering requirements. 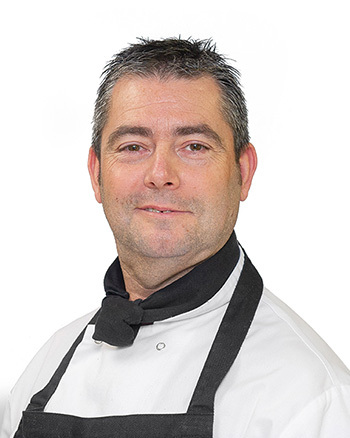 Robert Connolly has been Head Chef with the club for 7 years now and works with his team in the kitchen to provide food of a consistently high standard from a wide and varied menu. His flair and enthusiasm for catering has provided Stirling Clubhouse Restaurant with an enviable reputation for good value and good food. Robert and his team provide a daily catering service in the Clubhouse Restaurant with a variety of menu selections: ranging from breakfast rolls to homemade soup and light bites through to a full dinner menu and special carveries. Special highlights are often on offer such as Steak nights, Afternoon teas, Fish teas and paired food and drink offers. The restaurant also offers buffets and bespoke menus for birthday parties, functions and even weddings. Open year round including Christmas Day and Hogmanay the restaurant provides an excellent service for members and visitors alike. 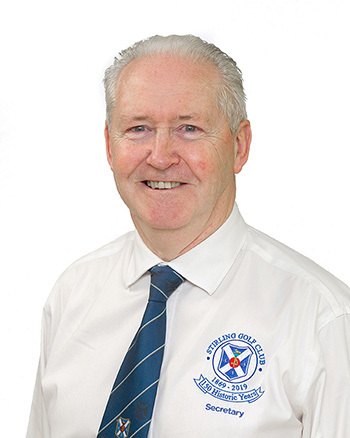 Garry became Managing Secretary at Stirling Golf Club in April 2014 taking over from the outgoing Secretary Alan Rankin. 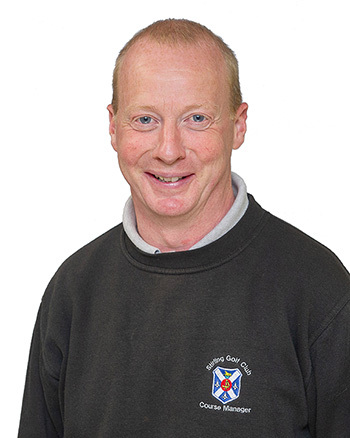 Garry has been an active playing member at various clubs throughout Scotland including Bridge of Allan, Dunblane, Deer Park, Harburn, Bathgate and 10 years in the North East of England at Backworth GC. During this time Garry enjoyed playing team golf and managed to get as low as 2 handicap but is now on the way up as age catches him up. 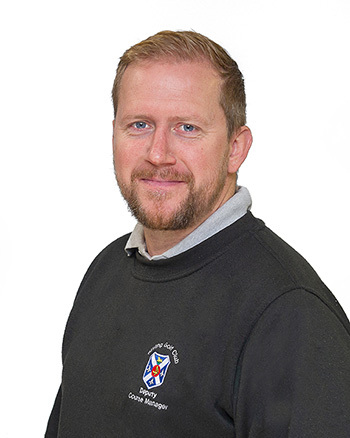 With an IT and Sales Manager background Garry took on the role at SGC where he attained his level 1 MDP Scottish Golf qualification in Oct 2014. Having previously served on committee roles Garry relishes the daily challenge of working at a busy golf club and serving a membership of over 1000. This requires a strong team all pulling in the same direction to deliver a consistent service to members, visitors and committee. SGC celebrates its 150th year in 2019 and Garry looks forward to this very special anniversary with everyone connected to the club. 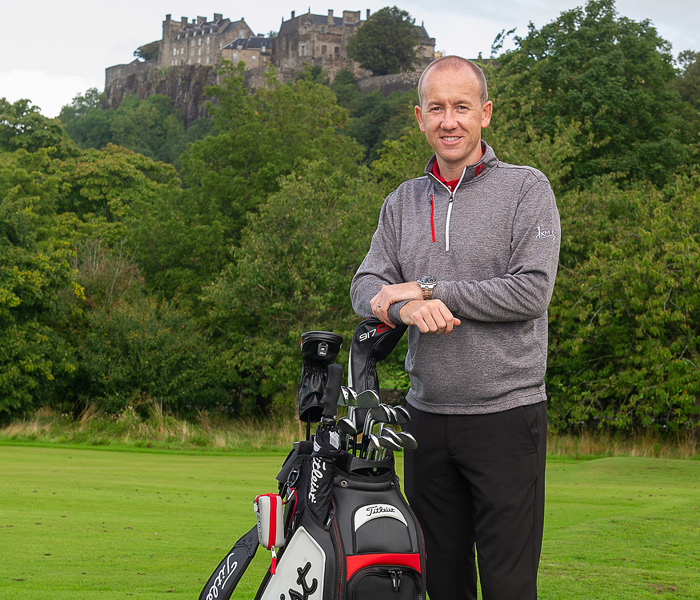 Kenny has been the Head Professional at Stirling Golf Club since January 2018. He has been a qualified PGA Professional for over 16 years. Over the years he has played competitively as well as travelling the world doing a variety of different roles within the golf industry. Previous roles include the beautiful Kingsbarns Golf Links and the Pete Cowan Academy at the prestigious Dubai Creek Golf and Yacht Club. 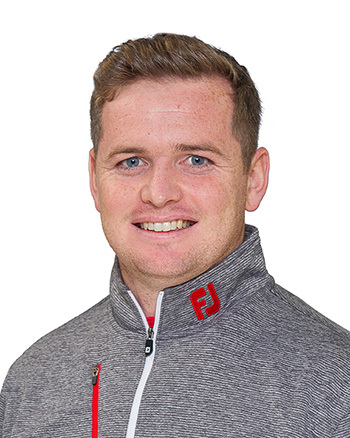 As well as an extensive background in coaching Kenny is also offering a comprehensive club fitting service from our recently installed state of the art indoor Performance Studio. Kenny’s studio boasts the latest Foresight Sports Quad technology and a Science and Motion Putt Lab. He also offers all the latest fitting components for brand such as Titleist, Callaway, Ping and Mizuno. The Pro shop has a wide variety of retail offerings for any golfer out there. For more information, please contact Kenny and his team on 01786 464098. 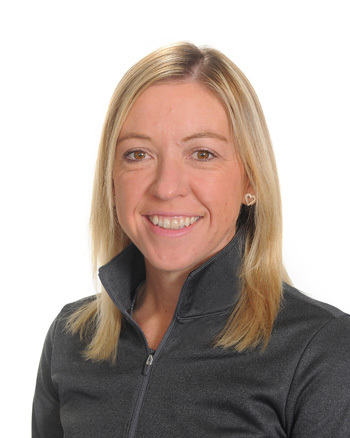 Heather has been a professional since 2007 and became a full PGA professional in 2011. A former WPGA Champion, she combines competing on the Ladies European Tour & LETAS with coaching. Using video analysis and other technology such as SAM, GC Quad and Trackman as well as the mental and course management side, Heather uses her playing experiences to help find the best ways for the individual to improve. Offering a range of individual, group and bespoke packages, get in touch with Heather for more information. Scott is an extremely driven and forward-thinking golf professional. 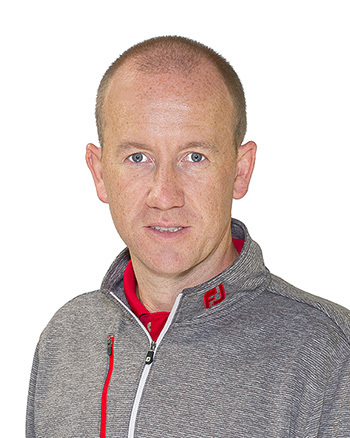 He has experience in club fitting using both Foresight sports GC Quad and SamPutt LAB, he enjoys teaching with a keen interest in player development and game management with a track record of lowering scores. Scott will be looking to work closely at developing the Ladies game at the club and similarly to the Junior development. Scott keeps up to date with the latest product releases and will be happy to answer any queries you may have. 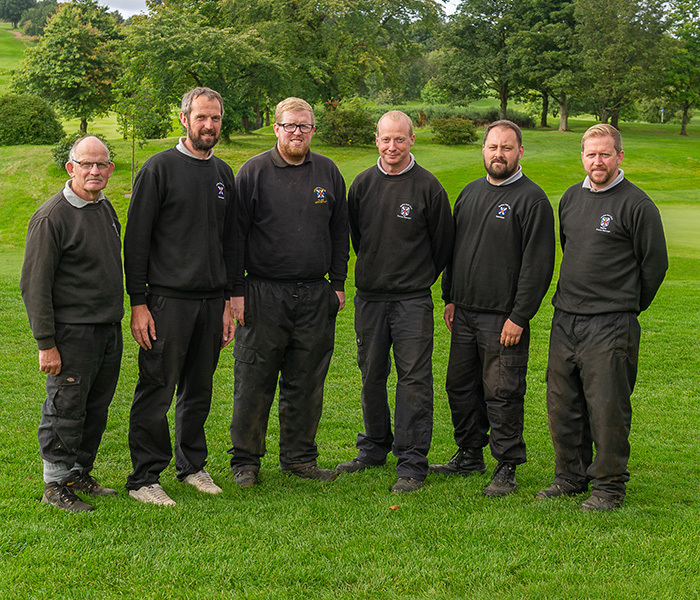 Left to Right: Alex Nimmo; William Chalmers; Ian McKnight; James Lindsay (Course Manager); John Adam & Scott McKnight (Assistant Manager). Kenny Monaghan (Head Professional) leads the Pro Shop Team of Scott Borrowman and Heather MacRae.